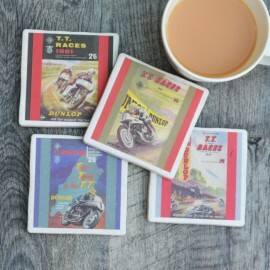 A stylish set of 4 coasters, hand-made in the UK using the finest Italian Porcelain ceramic tiles and depicting classic motoring art images by acclaimed artist Sheridon Davies. 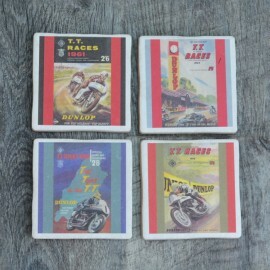 Suitable for hot and cold drinks, the coasters have a protective lacquer and are easily cleaned with a damp cloth. 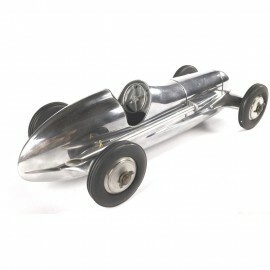 Complete with a cork backing for extra protection they are as practical as they are beautiful. 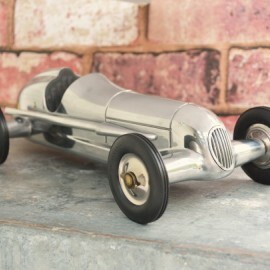 A great gift for any motoring fan.